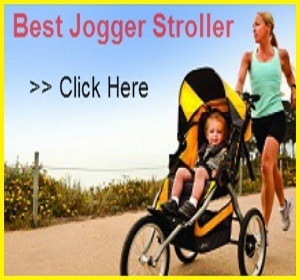 This stroller is especially design for joggers; parents can maintain their health along with parenting. They can spend a quality ride with their kids. 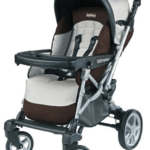 BOB Ironman Stroller Review is not a stroller for daily long park walk, city or mall; it has many features which influence you to buy this stroller, let discuss the all features in detail. 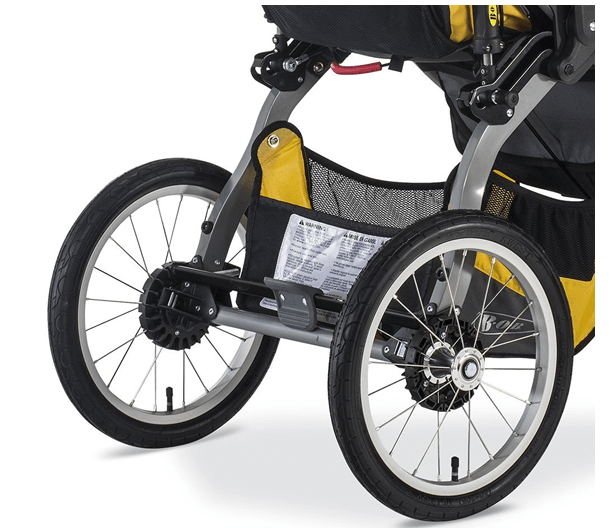 It rolls on three 16″ air filled tires made with lightweight alloy. The tires are thin; they are not your all-terrain thick tires. These are more like bicycle tires. The front wheel is fixed which is good for jogging & rough terrain but not for park or city walk. It has a huge full sun protection canopy with a large peekaboo window. Canopy helps to protect your baby from harsh weather & from pee-ka-boo window you can see your baby’s activities while on ride. There is no mesh for air circulation in summers. The seat is very roomy. 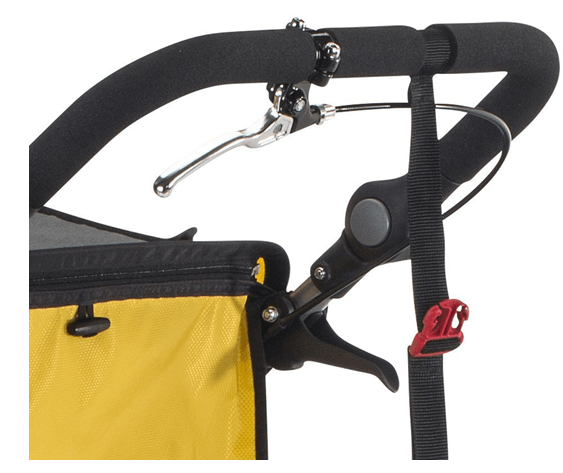 Its 15″ wide and 23″ high from the back of the seat to the canopy. The bottom and the back of the seat are nicely padded. It has an additional detachable back support on the seat. To recline the seat, pull two straps on both sides but it doesn’t go to a flat position so preferably it is not that much suitable for infants. 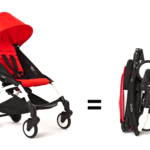 If you want to use this BOB Ironman Stroller Review from birth, you can buy a car seat adapter and turn it into a travel system. 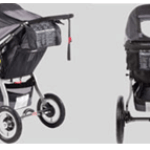 One thing I don’t like in this “BOB Ironman Stroller Review” the handle bar is not adjustable unlike other stroller which is a trouble for shorter & taller parents, they might feel uneasy to handle. The handle is covered with padded foamy material but there are some complaints about the grip, I guess parents is not that much comfortable in this area. It has adjustable 5 point harness with padded straps and center release button. It holds your baby tight & safe. It has a wrist strap attached to the handle bar. 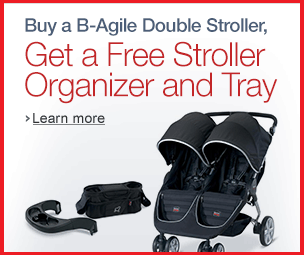 It provides security in case the stroller gets away from you while you are running. 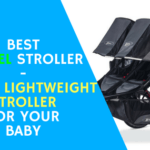 One unique feature you will get to know in this “BOB Ironman Stroller Review” is it has adjustable suspension systemwith two positions. First position is for children up to 40 lb. The second position is for child from 41 lb up to 70 lb. 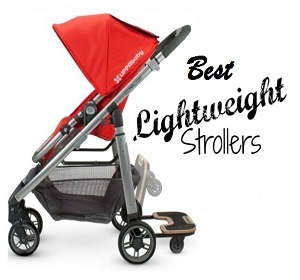 but in any case it helps to absorb bumps & gives a smooth ride to your little rider. There is one hand brake which is a great feature for joggers. If you are running down the hill it will control your speed. There is one foot brake is situated between the rear wheels which is another safety features but it is not so friendly. It has two step fold; you will need to use both hands to fold it. It does NOT have an automatic lock when folded. You will need to put it on the ground and manually lock it by using a clip that is attached to the wrist strap. 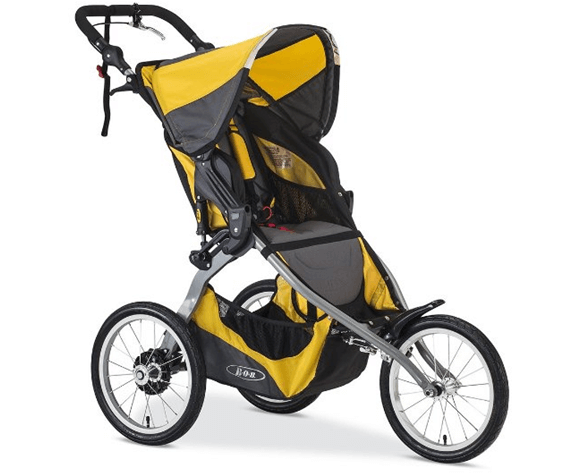 This BOB Ironman Stroller Review will not stand on its own when folded. It has a large storage basket underneath the seat that can be accessed from the back or sides. You can put large diaper bag & some other stuff but you can’t go for a grocery shopping with it. There are two mesh pockets on both sides of the seat for snacks, toys & other essentials. There is a big mesh pocket on the back of the seat that you can use to store your cell phone, keys and a wallet. The seat is made out of water resistant material that is very easy to clean. The quality of fabric is extremely good, very safe for the sensitive skin of baby. 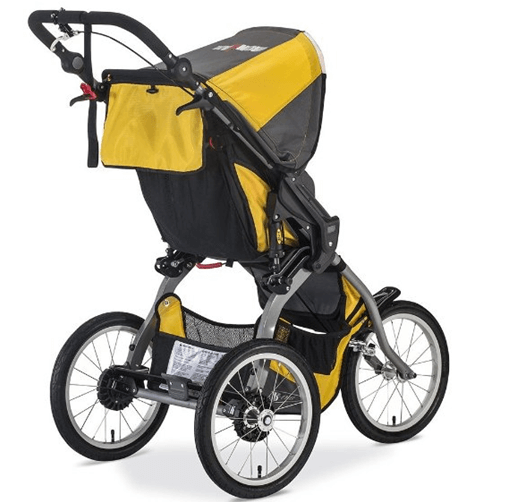 BOB Ironman Stroller comes in two colors: yellow and navy. 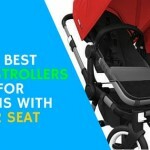 You can invest in this durable stroller as “BOB Ironman Stroller” offers great & unique features yes along with some disadvantages but overall it has a good image among market. These accessories also work with other BOB models. You can purchase separately: car seat adapter, snack tray, adult console weather shield, fleece seat liner, and travel bag.